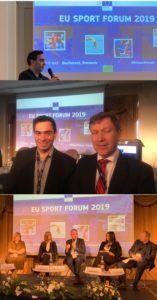 The EU Sport Forum is the main platform for structured dialogue between the European Commission and sport stakeholders! The 2019 edition of the Forum took place in Bucharest on 8-9 April 2019! GLMS had an active participation and was glad to be part of this Forum! Our collective member The European Lotteries was also represented! EL President, Hansjörg Höltkemeier was part of the panel on the financing of grassroots sport. 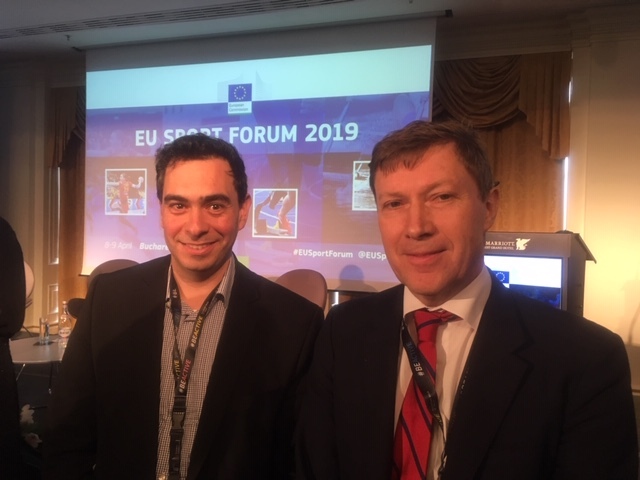 Hansjörg underlined the significance of Lotteries -which contribute to sport with more than 2bn EUR per year – for the sustainable financing of grassroots sport in Europe and the need for safeguarding of this funding. Many thanks to the European Commisison for the excellent organisation!